Chakra cakra (Sanskrit) Wheel; cycle; the horizon, as being circular or of a wheel-form; likewise certain pranic centers of the body. "These physiological chakras, which are actually connected with the pranic circulations and ganglia of the Auric Egg, and therefore function in the physical body through the intermediary of the linga-sarira, or astral model-body, are located in different parts of the physical frame, reaching from the parts about the top of the skull to the parts about the pubis. . . . were this mystical knowledge broadcast, it would be sadly misused, leading not only in many cases to death or insanity, but to the violation of every moral instinct. Alone the high initiates, who as a matter of act have risen above the need of employing physiological chakras, can use them at will, and for holy purposes -- which in fact is something that they rarely, if indeed they ever do" (OG 26-7). 7) sahasrara, the pineal gland in the skull, ruled by the Sun. "The human body as a microcosm may be looked upon as containing every power or attribute or energy in the solar system. . . . all the seven (or twelve) logoic forces that originally emanate from the sun, and pass in and through the various sacred planets, are transmitted to us as human beings and directly to the physical body. Thus each one of these solar logoic forces has its corresponding focus or organ in the human body, and these are the chakras" (FSO 459). 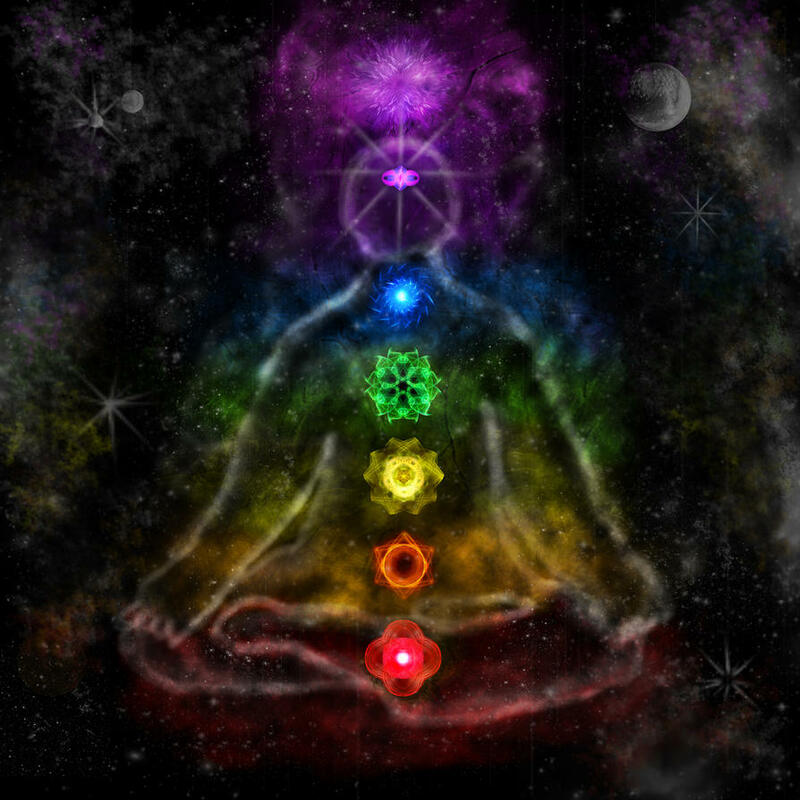 There are seven chakras, in total. Sometimes another number is quoted, but this is a result of misunderstanding. For example, other energy centers or even structures artificially created inside or outside the body are referred to as chakras. There are erroneous opinions as to localization of chakras. For instance, in some incompetent publications anahata (where the spiritual heart is contained) gets placed in a stomach area, and manipura — in the umbilical region. The chakras are not located in the spinal column, as it is written in some books. Anahata — a chakra of the chest located at the area between the collarbones and the solar plexus. Muladhara — a chakra, located in the lower part of the pelvis between the coccyx and the share bone. Inside chakras there no petals — this is people’s fantasy; there are no other fantastic structures inside them. And in no case should one “color” the chakras, as it is recommended in some books. Chakras should have inside themselves tender white-goldish light. It is desirable that all chakras be always pure and developed. There are special meditative methods for this purpose. muladhara — psychological stability in various situations. The condition of chakras is closely interrelated with the condition of the organs located in the parts of the body which correspond to particular chakra. Chakras play an important role in supplying the organs with energy, while diseases of the organs negatively affect the condition of chakras. — vishudha: the entire neck, thyroid, both jaws, including teeth, and others. (The border between the “spheres of influence” of ajna and vishudha coincides with the palate). 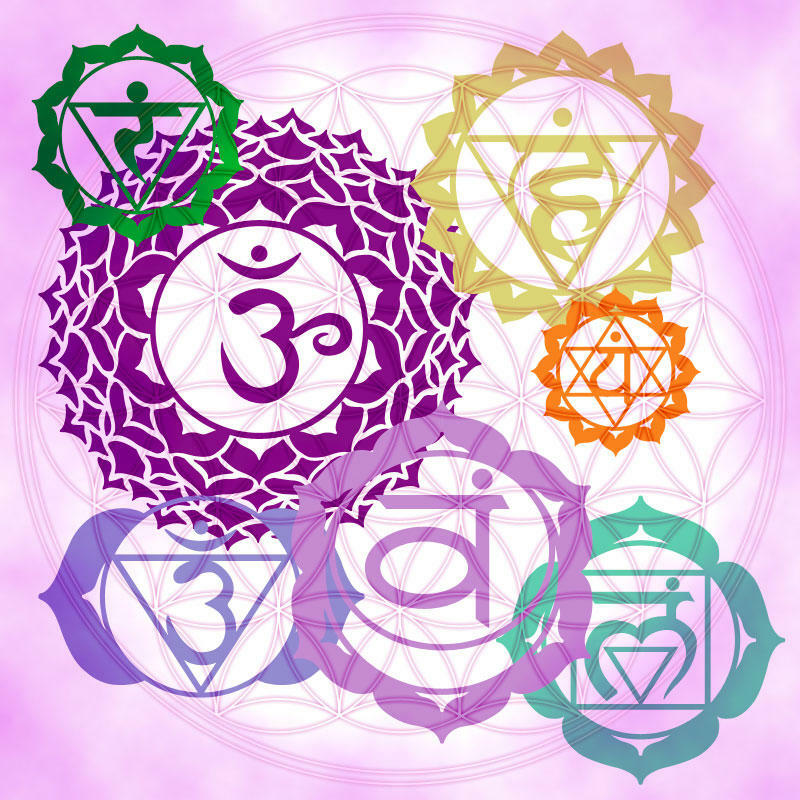 Since the condition of chakras directly influences the functioning of organs located in the same parts of the body, the mere cleansing of the corresponding chakra can easily cure many chronic diseases. The main one of all chakras is anahata, because it is with the help of this chakra that one can realize the main purpose of life, i.e. spiritual self-development. we, too, have to transform ourselves into Love — into consciousnesses constantly living in the state of Godlike Love. One achieve this though staying constantly with the consciousness in the anahata chakra and being the emotion of love radiated to all people, to all living beings.